I would struggle without dry shampoo – it saves me on a weekly basis. For years now I’ve been using Batiste as my number one go to dry shampoo brand. I’ve tried a few in the past, but found they left my hair greasy, didn’t smell right, or simply didn’t quite do the job. As a student, and with some Batiste dry shampoo’s costing £5, it’s pretty steep. As I pondered through Tesco before I headed to V Fest, I decided it was time to give another brand a go. Enter Girlz Only. Yes, the name does sound a bit like it fits in with the groovy chick era, but at half the price of batiste’s products, I decided to give it a go. 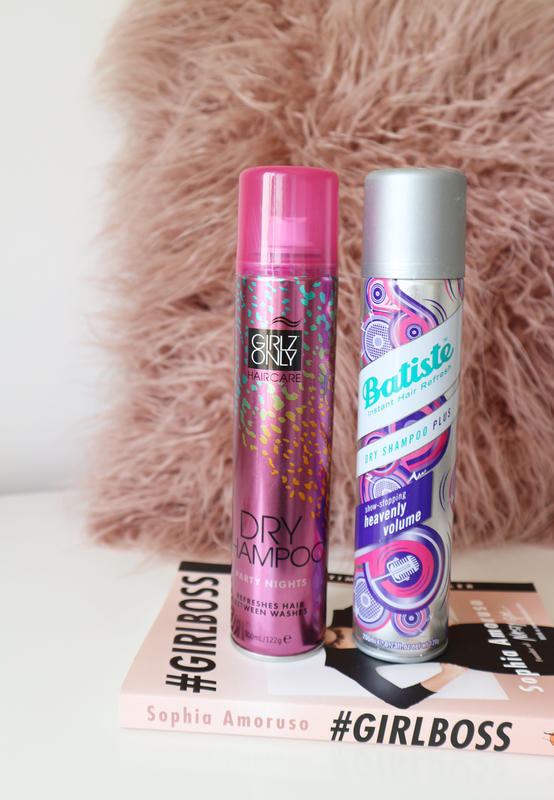 The Girlz Only Dry Shampoo holds 200ml and costs £1.50, while Batiste’s is double that at £3. Much to my surprise, it worked just as well – my greasy hair has been greasy no more, and I’ve got an extra £1.50 in my pocket. Win win. I can’t really notice any difference between the two, other than Batistes Heavenly Volume shampoo gives more volume but that’s not something I always want anyway. I’m definitely going to be reaching for the cheaper alternative in the future. What’s your favourite dry shampoo brand?